Nozomi Okuhara did that thing she does often right before a match is going to turn more interesting than usual — she had a little chat with herself. 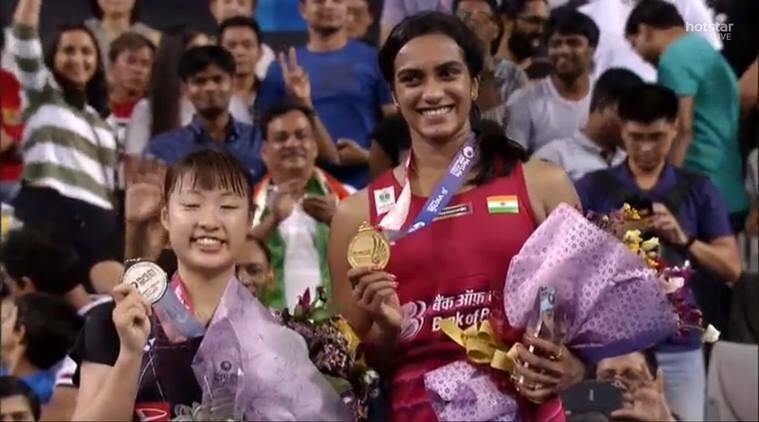 Three weeks is too short for a proper déjà vu, but both Okuhara and PV Sindhu carried that look of being haunted by the contortions of a long rally in badminton by the time the decider had reached midpoint in Korea. No one forgets 110 minutes of absolute body boot camp as it happened at the Worlds in a hurry. Okuhara even got her neck iced, but twice after Sindhu led 11-5, she would violently shake her head literally wanting to jolt herself out of the blitz her opponent had dragged her into. She could never shrug off Sindhu’s stranglehold on the game though, as she lost the final in 83 minutes 22-20 11-21 21-18. Some fundamentals though: Okuhara will always have the advantage in slow conditions for her running game, Sindhu in courts where shuttles go faster and she can get them to rip. Federer on grass, Nadal on clay, get it? Korea tilted towards fast on Sunday. This was a different Sindhu from three Sundays ago – biding her time and ready to assert her height on the game. Both fought as hard as Glasgow, but the 22-year-old Indian possessed the better sting for the endgame. The turning point, in fact, arrived earlier than the usual last scramble these two are known for. Okuhara had struck good rhythm in the opener leading 20-18 when Sindhu showed the first signs of audacious defiance. She would pick four points at the net — not her strongest zone, to take the opener 22-20. 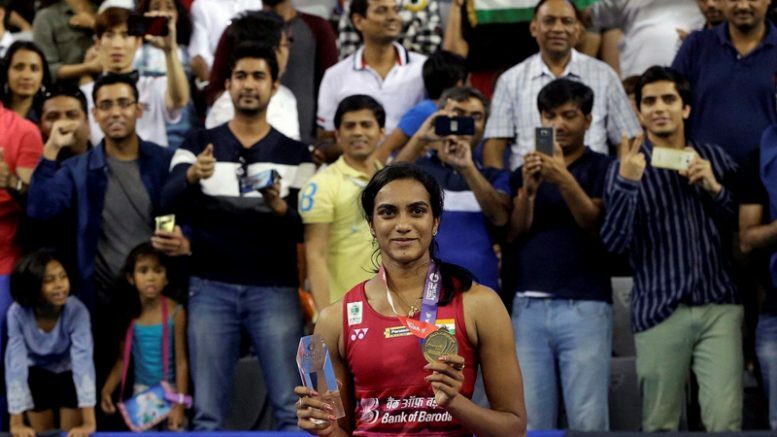 There was a winner kissing the lines and a tight dribble, not really Sindhu’s forte. It gave her the cushioning to punt on the second, where as soon as it was evident she had committed a bunch of errors to miss sure points and the lead wasn’t worth chasing, she got ready for the inevitable battle of the third. The challenge was always to control the shuttle in the drift, and Sindhu had been managing that well through the week. For once, she would pull Okuhara into her trap, commit her opponent to a faster pace and dictate from the hustle. Sindhu has her Achilles heels — flick shots and counter drops, but she caught Okuhara on hers — the forehand tosses that draw out the stretched jump retrieve where the Japanese girl curves her back, and the down-the-line smashes which are too piercing for the shorter player to do much beyond sigh away. Sindhu’s defence was again frustrating Okuhara, as she hared around retrieving not quite willing to look tired and spent no matter what she felt. 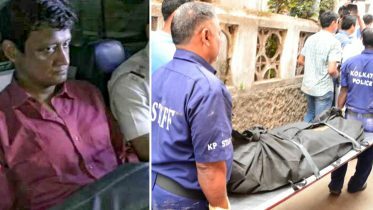 So even after games were levelled, the Japanese in a reversal of situations could never be sure she could shoot down the lead the Indian snatched her way. 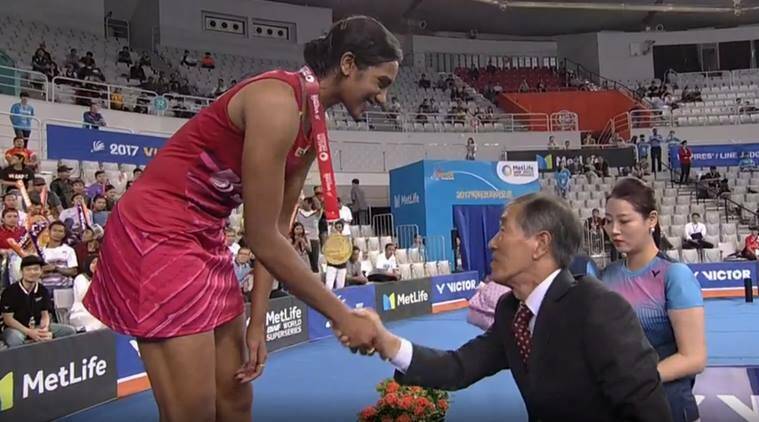 PV Sindhu won her first Korea Open title. Sindhu is not teeming with strokes like Tai Tzu-Ying, but has a secret stash of doubles strokes that she dips into that can often surprise rivals away. “In her junior years I did make her play a lot of doubles,” coach Gopichand said, and the result were the two specialities. There is a backhand flat serve that came in handy today, and then there is the smash-and-drive which Sindhu maxes using her height and power, a feature of the doubles game. A whipped smash is followed simply by a drive – the first stroke brings the opponent to the net, and she is bamboozled when the drive pushing her back follows. The tap-push kill also worked like a zinger on the day. At 17-14 came the big rally where she would push Okuhara to baseline, get her drop in, find the opening and kill it in the follow through. At another juncture, Sindhu managed the counter dribble right on Okuhara’s face. 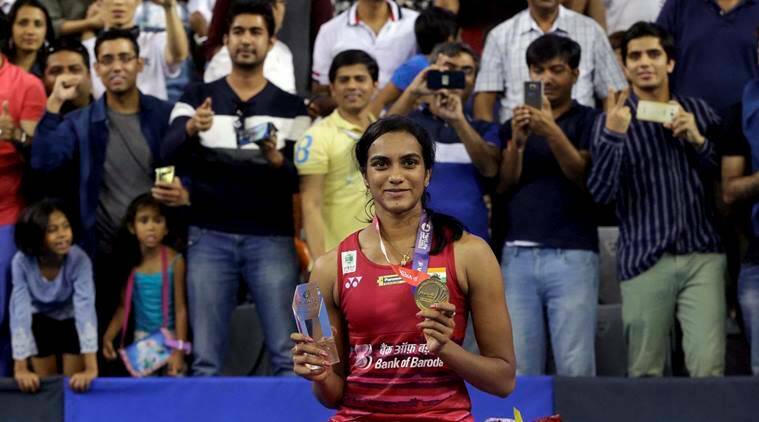 PV Sindhu won Korea Open Super Series title on Sunday. Okuhara would start bouncing and shadow practising in between points as the end of the third neared — both as a sign that she still had energy and a way to unsettle the opponent. But on this day and leading 19-16, Sindhu would stay calm and draw the error at 20-18 to wrap up the match. Thoughts of Glasgow might’ve drifted in and out, but she was focused on getting this win under her belt. “I had lost [that match] from [a] 19-17 [lead in the third game]. But I just didn’t keep that in my mind and even though there were long rallies [like that match], I was like… the next point was important for me and I played that way,” she said. The match lacked both the drama and quality of Glasgow. But this was Sindhu killing off the frills and getting the job done — asserting her power, with unlikely doubles strokes and an even unlikelier single- minded finishing temperament. 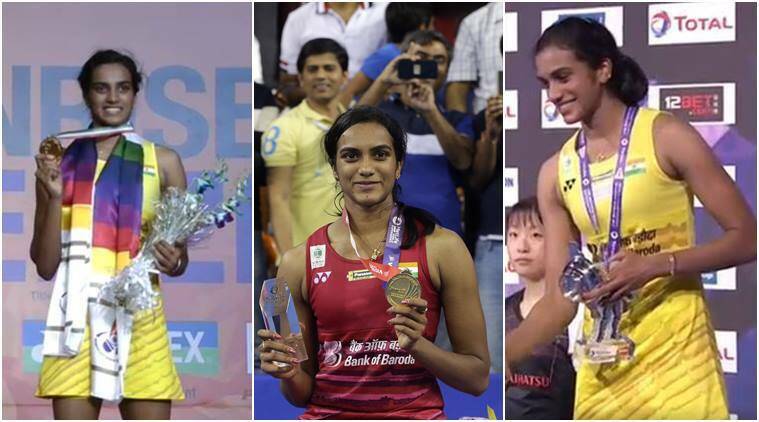 Be the first to comment on "PV Sindhu turns The Avenger, beats Nozumi Okuhara to win Korean Open"